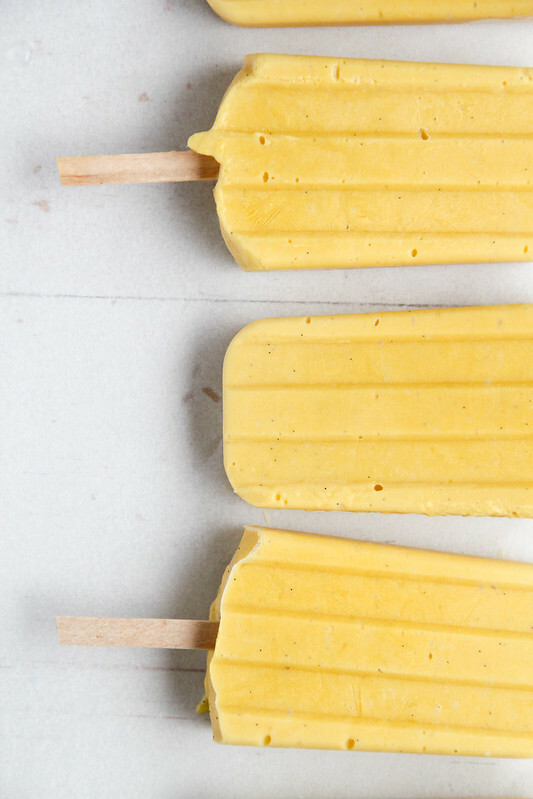 If summer in Brisbane had a flavour, I’m reasonably sure that it would taste like these creamsicles. Fruity, mango-y, creamy. I really, really, like these creamsicles. You know what I like even more? How smile-inducingly simple they are. There’s no need for added sugar, or topping up with liquids. Throw everything in the blender and you’re there. The perfect summer dessert, no? A few weeks ago, my mum and I split a tray of lovely mangoes. And, for a few days, Adam and I ate mangoes at nearly every meal. Sliced over breakfast, creamsicle after lunch – heck, we even had Laura’s marinated cucumber noodles over a thick wedge of mango. 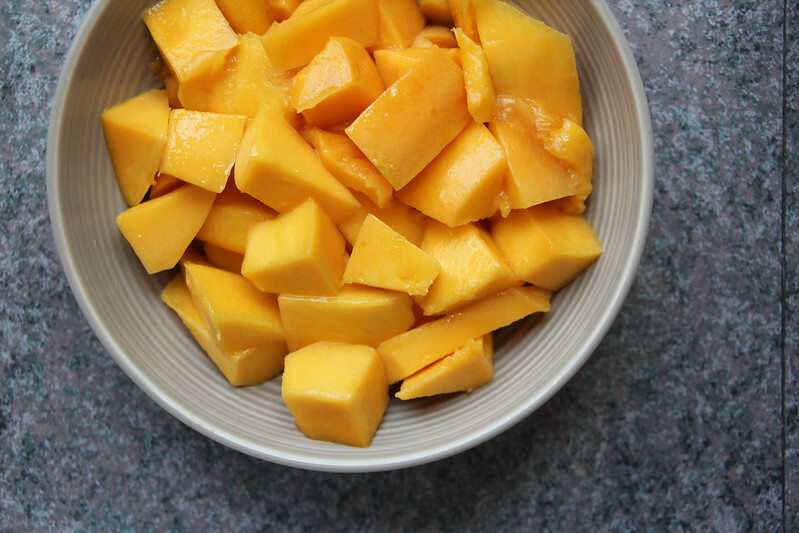 The good news is, mango season is far from over (it’s not even officially summer yet). And I’m pretty sure that I’m going to spend most of this summer subsisting on LARGE quantities of fruit. Because as I’ve mentioned before, I do not handle heat well (yesterday it was certifiable disgusting – over 30 C (86F) and 65% humidity – needless to say I spent most of the day napping), which means that any food that is cold and only requires a minimum of peeling and cutting is fair game. I’m going to keep this short and sweet today – I’m presenting at a conference on Thursday, and my paper is well, you know…(not even started)…so I’d better be getting to work. 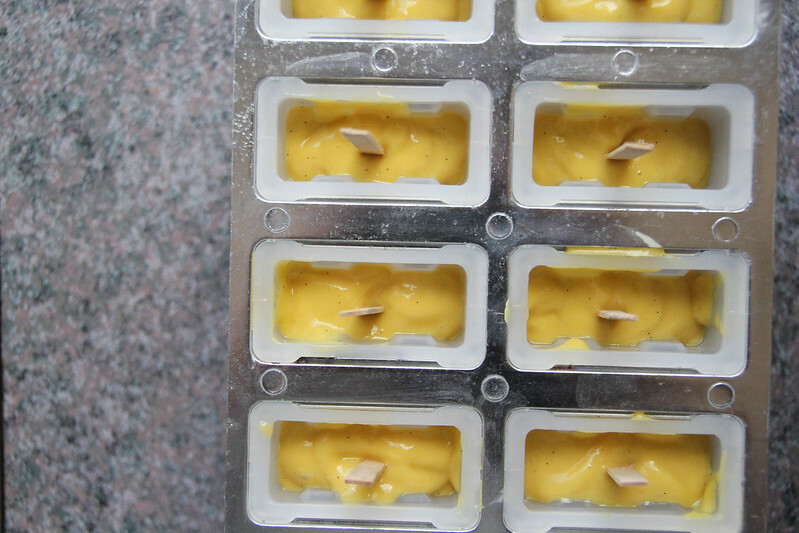 Big love to you all – H.
My popsicle moulds take 1/3 cup of mixture (which I think is pretty standard). I’m going to be pretty insistent on using the vanilla bean directly. Extract isn’t going to cut it here. You’ll also need 10 popsicle sticks – I can pick these up pretty easily from a newsagent or craft store. In a high-speed blender, combine all ingredients and blend on high until smooth and creamy. Evenly pour into your popsicle moulds. Freeze for 30 minutes, then insert popsicle sticks. Freeze for a further 2-3 hours, until fully frozen. 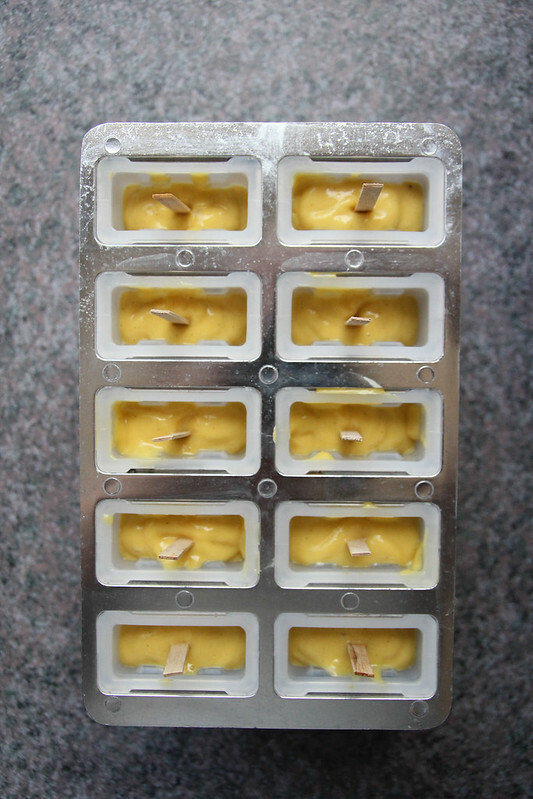 To enjoy, run the mould under a little hot water to loosen the creamsicle. Posted on November 25, 2013 by harrietmcatee. This entry was posted in food, recipes and tagged dairy free, dessert, food, gluten free, grain free, mango, raw, recipe, snack, summer, vegan, vegetarian, wheat free. Bookmark the permalink. Your food photography is becoming incredible. 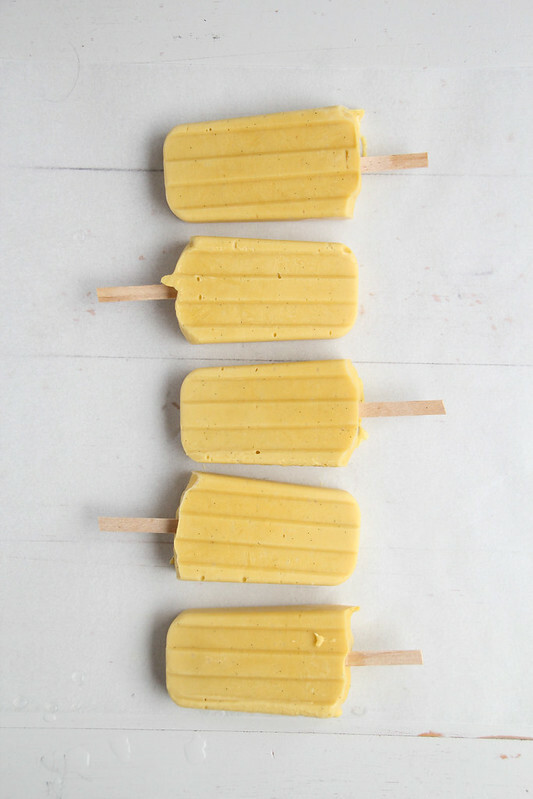 Lovely simple photography – I will definitely try doing a yoghurt based ice lolly but might wait until the summer! My favorite flavor combo! Must make! Oh wow, this looks amazing! Not to mention, the photos are incredible. 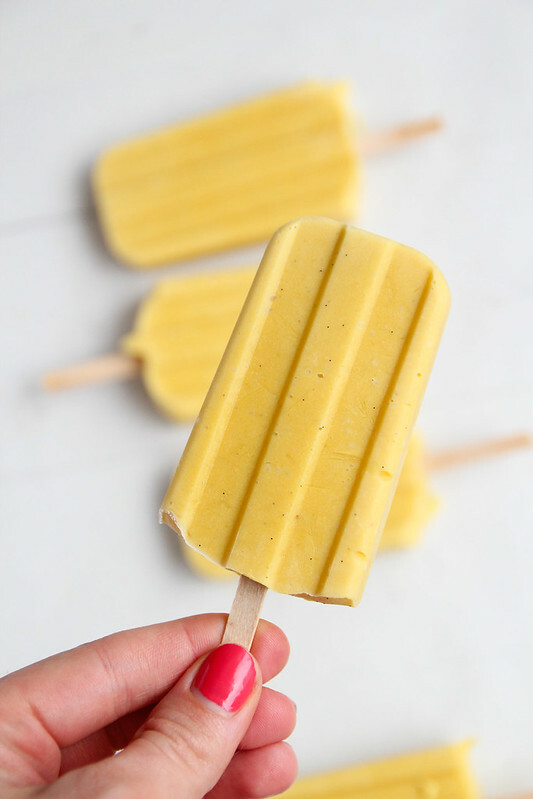 Coconut and mango are one of my top fav combos, these look incredible! It is freezing here in Switzerland, but I will probably be making these anyways after I can get my hands on some popscicle moulds. Thanks for a fun and simple treat, Molly! I love how you are experiencing the exact opposite season as me over here in America – it’s such a breath of fresh air to see recipes so completely different than heavy soups & stews. Also, love that you didn’t add any sugar to these – you know it’s good when you don’t have to sugar coat it (literally)! Harriet!!! These look wonderful! 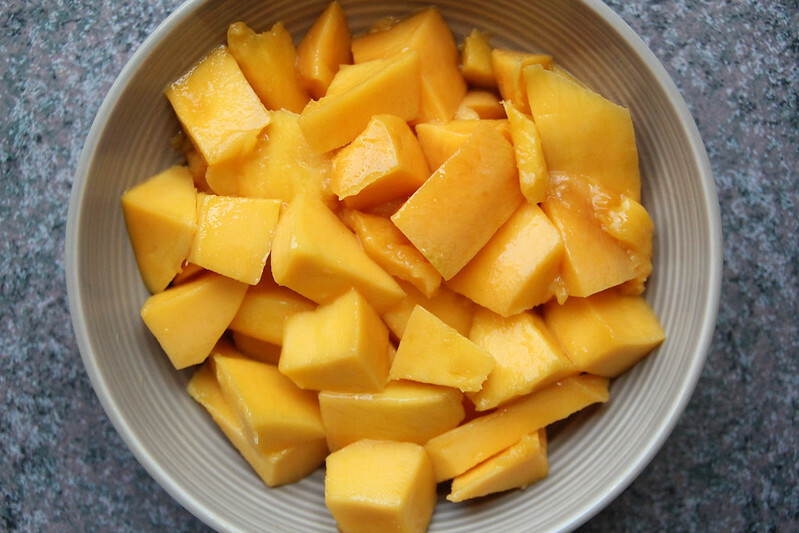 I really need to start making the most of mango season!